California home prices are expected to increase by 9.1 percent by July 2019. Golden State homeowners gained an average of $49,000 in home equity between the second quarter of 2017 and the second quarter of 2018. The San Francisco metropolitan area has the lowest number of underwater homes in the U.S., accounting for only 0.5 percent of properties. 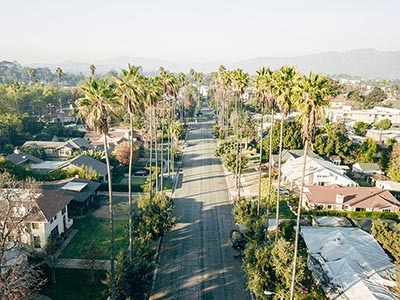 Golden State homeowners once again enjoyed the largest equity gains in the country in the second quarter, and that trend appears poised to continue, as California’s is projected to lead the U.S. for annual home price appreciation by the summer of 2019. Continued price growth over the past few years has helped line the pockets of California homeowners. CoreLogic says that the average Californian with a mortgage gained $49,000 in home equity between the second quarter of 2017 and the second quarter of this year. In a statement accompanying CoreLogic’s latest The MarketPulse report, company CEO Frank Martell said that the number of underwater homes continues to drop nationwide, with the biggest declines in areas with strong price growth. That certainly applies to the Bay Area; according to CoreLogic’s most recent Homeowner Equity report, only 0.5 percent of properties in the San Francisco metro area had negative equity in the second quarter, the lowest of the 10 major cities for which the company tracks data. Homeowners in San Francisco are also doing quite well when it comes to handling their mortgages, with 1.5 percent 30 days or more delinquent on their payments as of June, the lowest of the 10 metro areas. Just 0.5 percent of San Francisco homeowners with a mortgage are considered seriously delinquent, tied with Denver for the lowest in the country. Those two cities also have the country’s smallest foreclosure rates: 0.1 percent. Even with California projected to put up significant home price gains by next summer, the party is not likely to last forever. CoreLogic Chief Economist Frank Nothaft notes that while some Western states continue to see rapid appreciation, many of them are overvalued and will probably see slowdowns soon. That echoes findings from a recent Union Bank of Switzerland report, which calls San Francisco and Los Angeles the nation’s most overvalued housing markets.